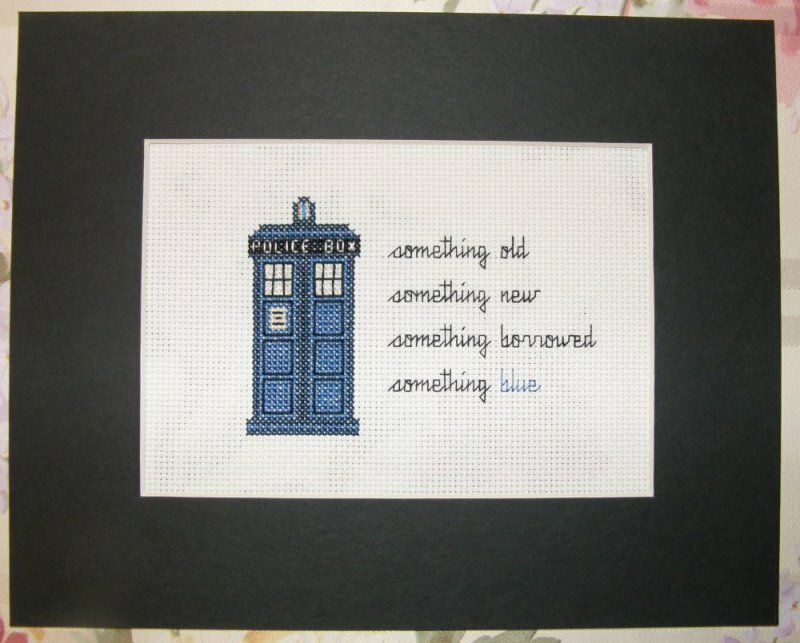 It seems I’ve been too busy stitching, reading, fangirling over ‘Doctor Who’ and doll collecting to make a post. Doesn’t excuse my slacking. But that’s what I am. A slacker of epic proportions. Principal Strickland would have loved me. Anyway, I haven’t posted because, well, I just haven’t had anything to say. For five months. OK, now that just makes me pathetic. Oy. One has to wonder if Mario learned the trick to getting past the Boos from the Doctor. Because Time Lords need support, too. I had to do this one twice, as the first go-around, the bottom part of the scarf looked just too wonky for me. It's just as easy to get lost in a book as it is inside the Tardis. 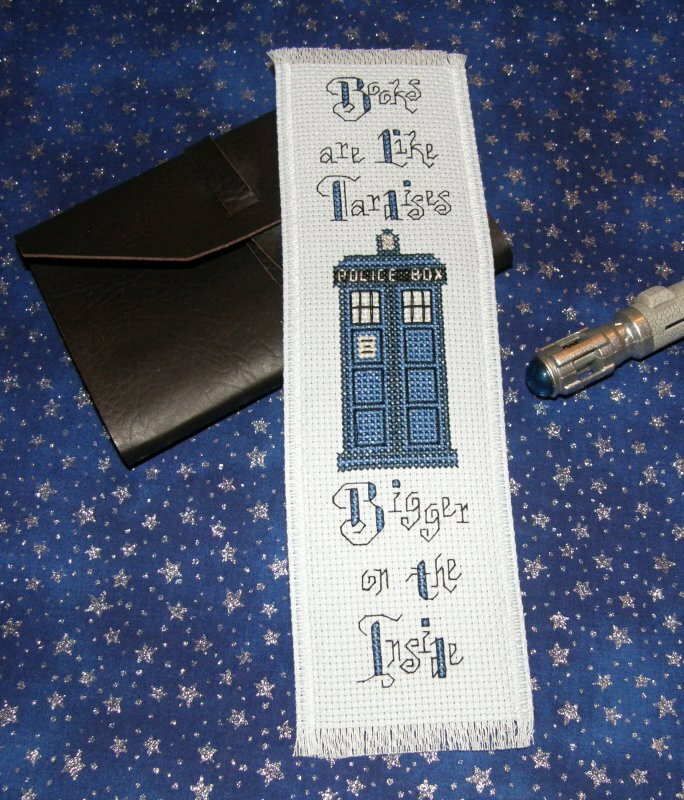 Because I needed an excuse to do yet another ‘Doctor Who’-themed bookmark. That’s all for now. I’ll try to update this thing more often than once every five months. No promises, though. I’m always late to the party. I only just discovered “The Hunger Games” trilogy and George R. R. Martin’s “A Song of Ice and Fire” series a few months ago. 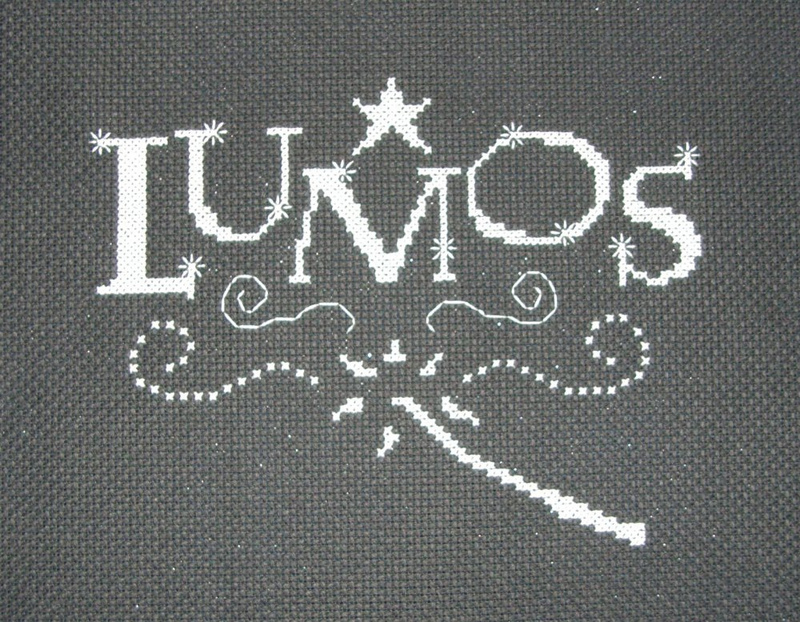 I did two cross stitch designs for these series. 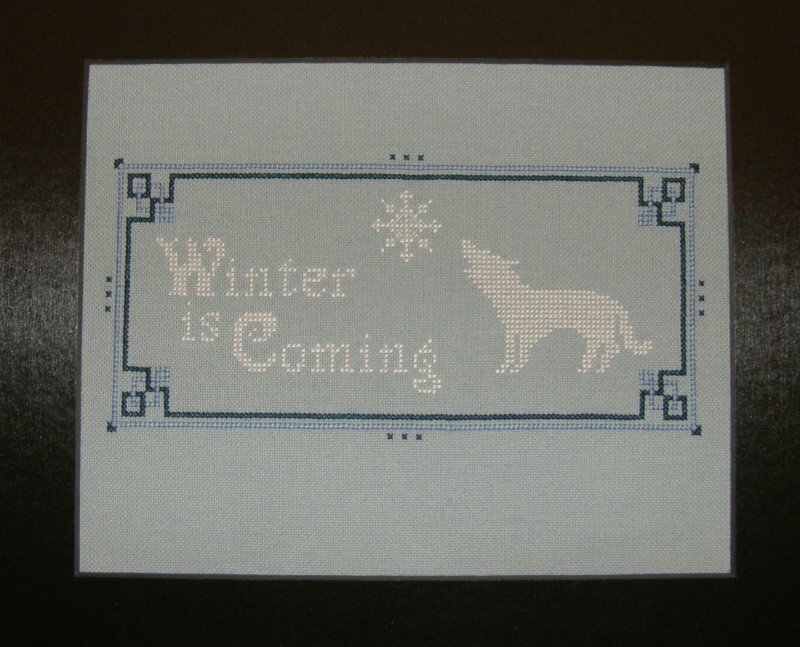 The Stark family motto, "Winter is coming." My first time using 28 count fabric. So many tiny, little holes! Used variegated floss for variety. Will probably be throwing these up at my Etsy shop soon. If you asked me to pick a favorite character from “Firefly,” I don’t think I could give you an answer. But I will admit that Jayne Cobb does hold a little special place in my heart. How could you not love the Hero of Canton? I was playing around in my cross stitch program and ended up making a cute but grumpy-looking owl. For some reason, he reminded me of Jayne. So I stuck a pretty cunning hat on top and came up with another bookmark design. Grumpy owl is grumpy because you interrupted his reading time. Both he and his pattern are available in my Etsy shop: http://craftycompanion.etsy.com. So. I’ve done it. I opened my own Etsy shop, The Crafty Companion. 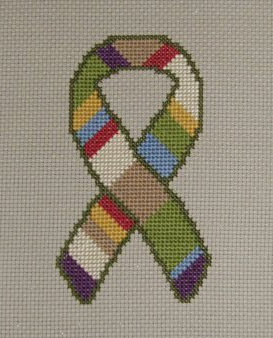 I only have five cross stitch patterns available so far, but I’m planning to add more. 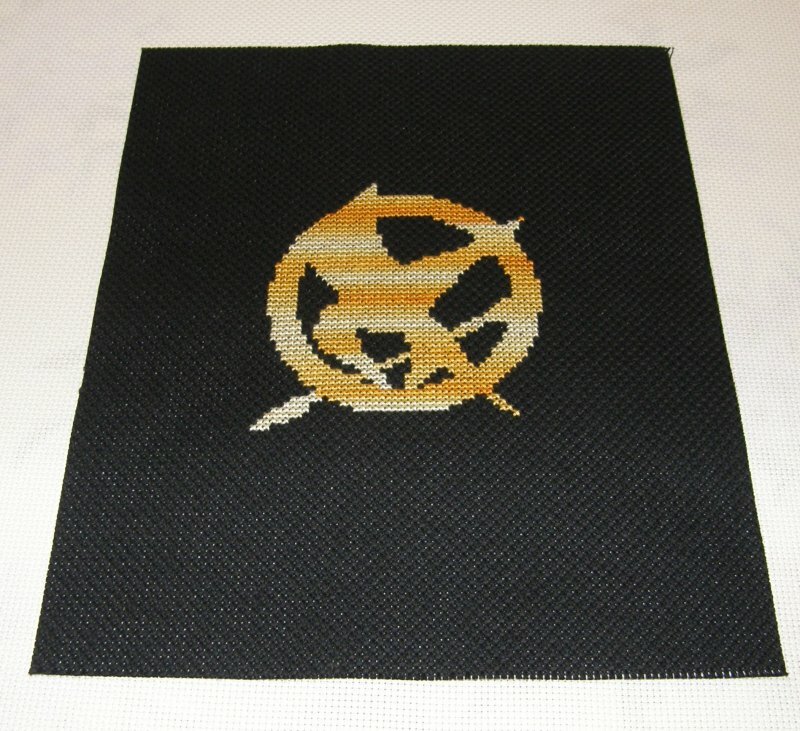 I’ve also got some finished stitchings done, but I’m waiting to add those until after I get back from my weekend trip. I’m hoping I’ll make a couple of sales, especially since I’ve got a ton of design ideas. Finished a few new “Doctor Who” designs recently. One is brand-new and the other two are framable versions of designs I’ve put on bookmarks. I already had a Dalek bookmark, so of course I needed a Cyberman to go with it! I used Satin floss to do my Cyberman. Probably won’t do that again, as that stuff is as difficult to work with as the metallic floss. "If something can be remembered, it can be brought back..."
It’s blue on the outside. It’s bigger on the inside. 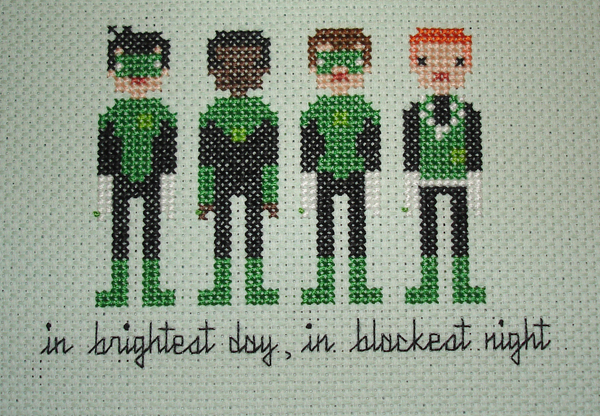 Inspired from the fifth season episode, “The Big Bang.” This finished stitching will be for sale next week. This guy needs his own fan club. I bought a pack of blank aida bookmarks off Etsy a while back, because trying to make my own would most likely have been disastrous. I envisioned adorning them in various geeky designs, but somehow, the first five all turned out “Doctor Who.” Not that I’m complaining, really. This bookmark is bigger on the inside. My first bookmark of course had to feature the Tardis. Sadly, I totally misremembered the quote from “The Eleventh Hour,” as I did not have access to the DVDs at the time. But I think it works. I may do this again with a different quote or maybe a starry background. I was totally going to do this with the caption “Go, go Dalek Rangers,” but after reading Mark’s review of “Victory of the Daleks” over on Markwatches.net, I thought “Taste the rainbow” would be more hilarious. 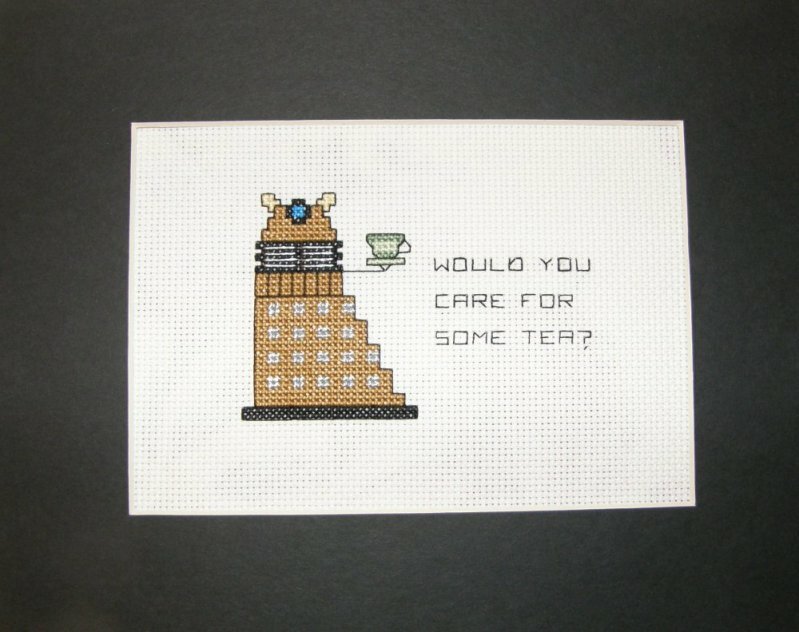 Also from “Victory of the Daleks.” Because nothing is funnier than a Dalek serving tea. This one would have been perfect had I not miscounted and actually got the design centered. A lesson for next time. Because bow ties and fezzes are cool. I also have a Cyberman bookmark to go with these, but he’s not quite done yet. I’ll post it when I’m finished, provided I’ve not been deleted. I know nothing about Green Lantern, other than he wears green and is afraid of the color yellow. And that there’s a movie coming out about him later this summer. But really, other than that, not a clue. But my brother is a big fan. 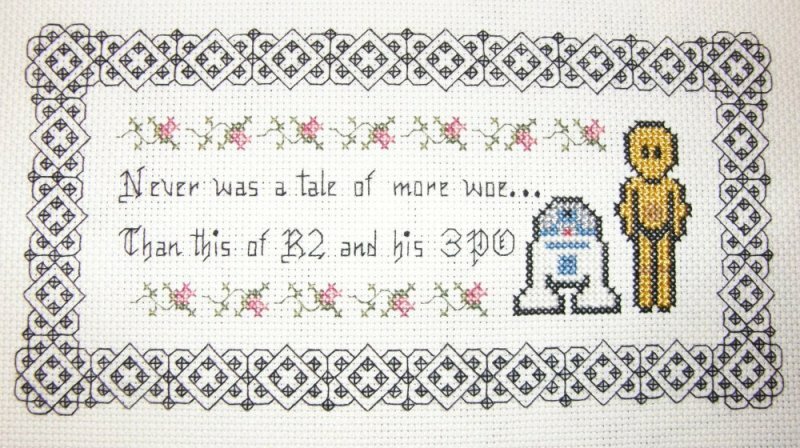 So when I found this pattern from Wee Little Stitches on Etsy, I knew I had to make this for him. My brother owes me big time. Tomorrow, I’ll post some of the “Doctor Who” bookmarks I’ve done lately.